ALTAMONTE SPRINGS, Fla. - Police are searching for a missing 7-month-old girl and the baby's mother after finding a marijuana grow house inside the family's Florida home. Authorities said Thursday that the mother's boyfriend, who is also the child's father, is a person of interest in the case. "We believe he knows their whereabouts," a police spokesman said of 46-year-old David Hogarth, according to CBS affiliate WKMG. The station reports investigators were called Tuesday to the family's home in Altamonte Springs after receiving an anonymous tip that a child was being neglected. 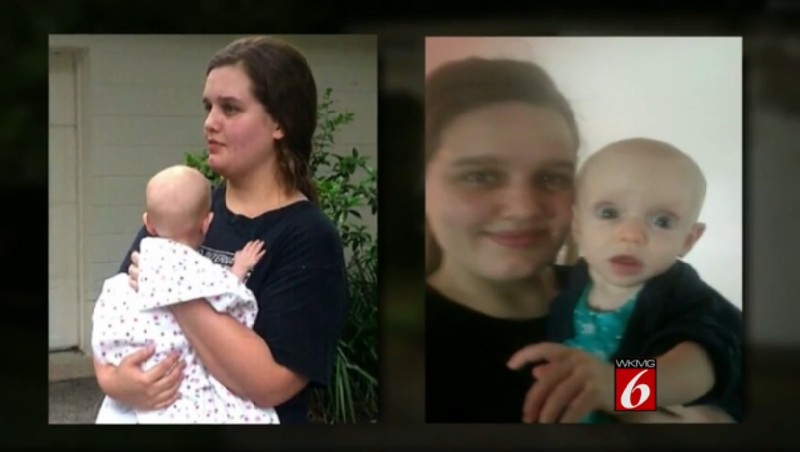 Police say when they arrived, 21-year-old Elizabeth McCreery and her 7-month-old child, Penelope Hogarth, were missing. Police discovered a grow house inside the family's home and confiscated nearly a dozen marijuana plants. David Hogarth was arrested after becoming combative. He has been accused of marijuana possession with intent to sell among other charges. Police say he refused to tell authorities where McCreery and the child were, reports WKMG. Investigators said they are concerned about the well-being of McCreery and the child. Police searched Lake Adelaide with sonar Wednesday, but found nothing. The lake is directly behind the family's home. David Hogarth bonded out of jail Wednesday and retained Mark O'Mara, the attorney who once represented George Zimmerman, as his lawyer, according to the station. Hogarth's brother, Gregory, told WKMG his brother "has not done anything wrong" and that he doesn't believe McCreery or the child are in danger. He added that David Hogarth has never neglected or abused his child, despite claims made by police that the child appeared underweight when they checked on her on May 5. Altamonte Springs Police said Thursday that the child was not born in a hospital and it's not believed that she's ever been checked by a medical professional, reports the station. Anyone with information on the whereabouts of McCreery or her child are asked to call 911.